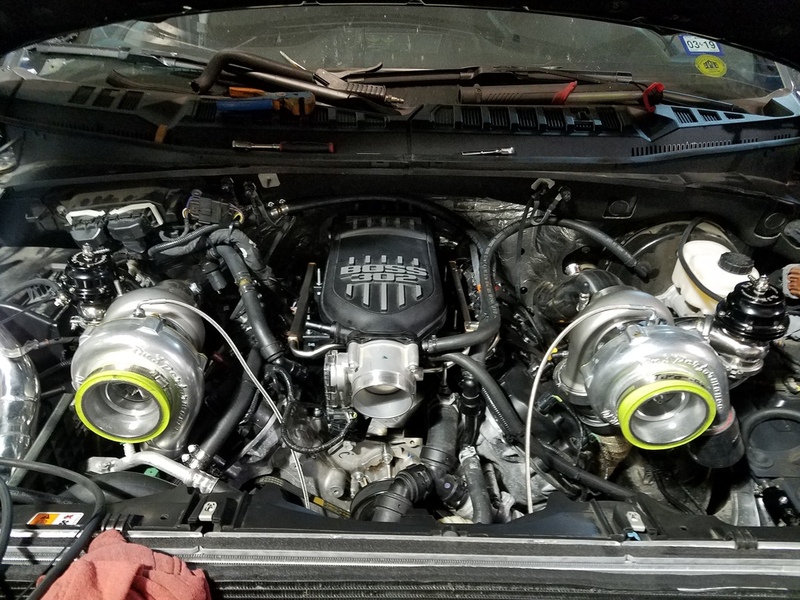 Just wanted to start a thread and document my build. 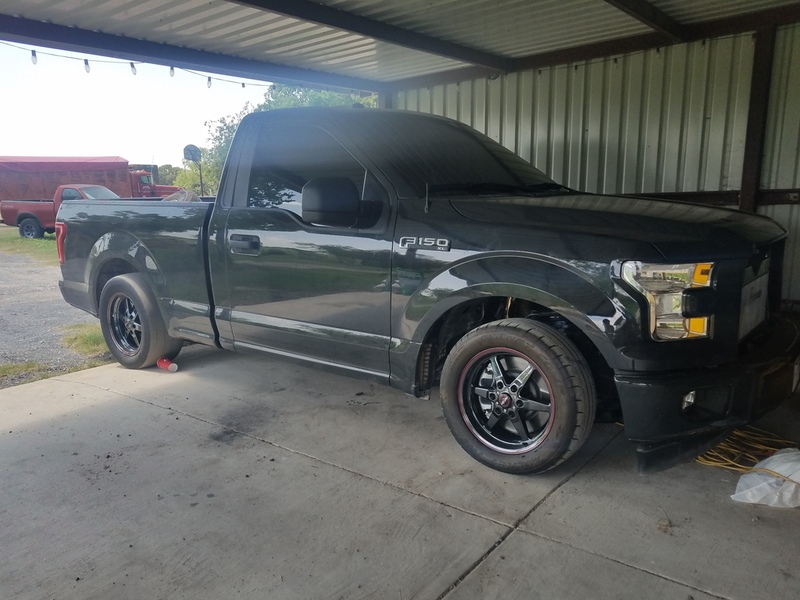 My previous truck was a 2003 Ram 2500 Cummins that made 880HP and over 1400TQ. It was fun, but I wanted something faster and lighter so it was easier on parts. 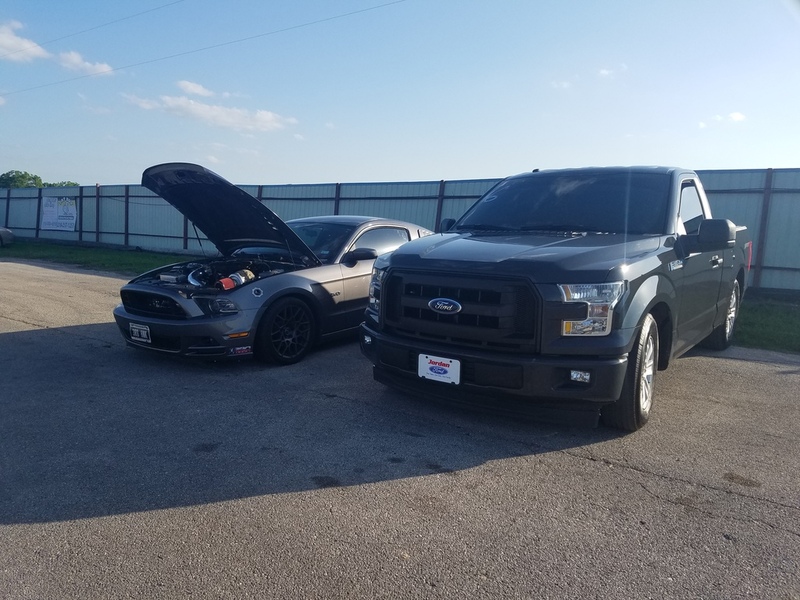 My buddy has a pretty nasty '14 Mustang GT so I started researching the Coyote 5.0. 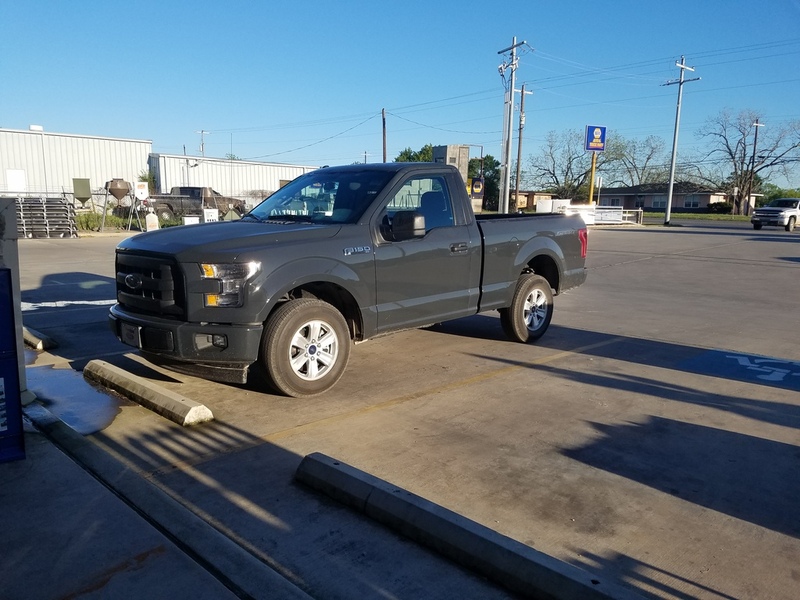 I sold my Ram and traded in my Focus ST in on this truck. I loved it right off the bat. 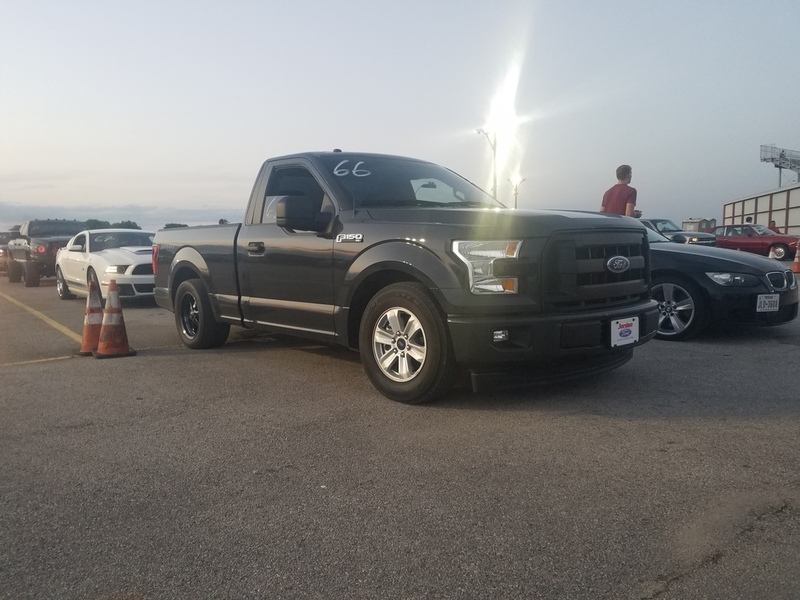 My work truck is a '15 F150 with the 3.5 EB so I was familiar with these trucks already and I liked them a lot since the '15 body style change. Ultimate goal is to run 9 second 1/4 miles. If you're on social media and want to follow along, I'm tt_5.oh on Instagram. Belltech 3/5.5 and rear drag radials for her first outing to the track. Ran 13.9 @98 in this form. Now, for the good stuff. The turbo setup. 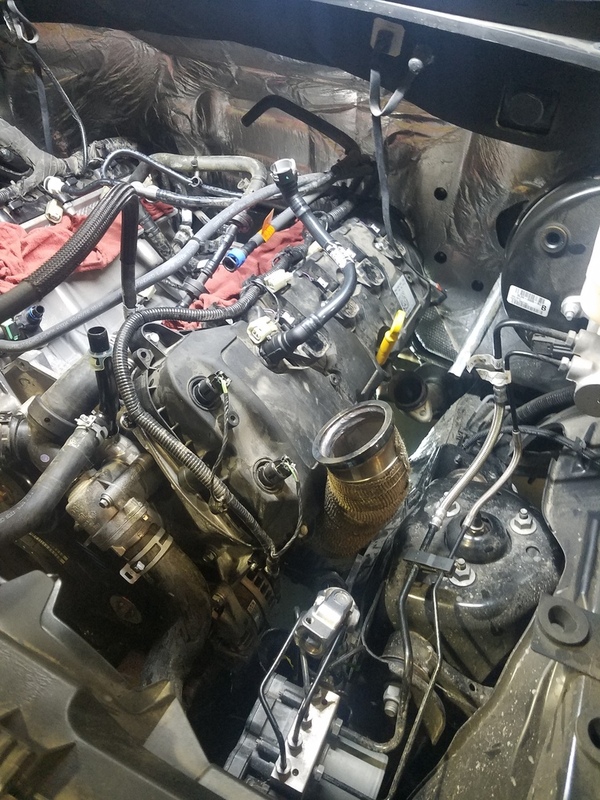 Here are the manifolds going on. 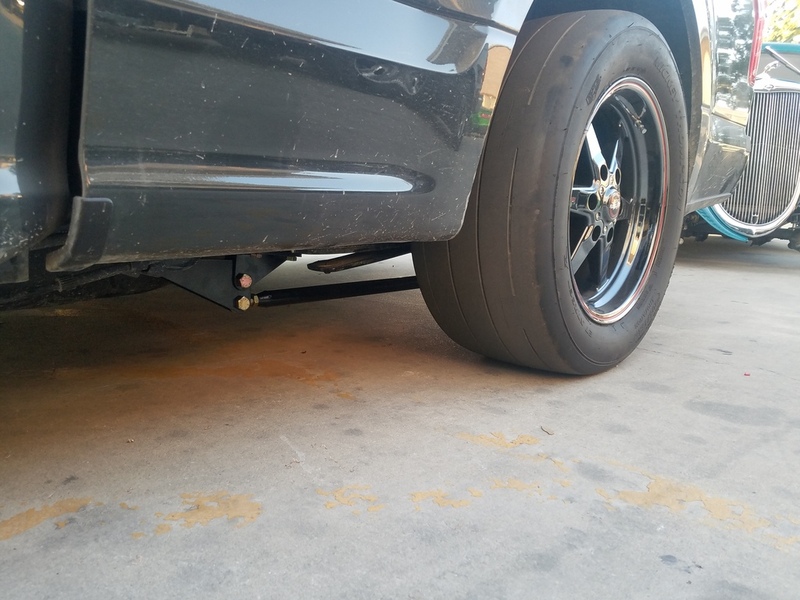 This is On 3's kit for the 2011-2014 F150's. I modified the kit to make it work on my 2017. If anyone wants to know what it takes to modify a kit to fit a 2015+, let me know and I will help you out. 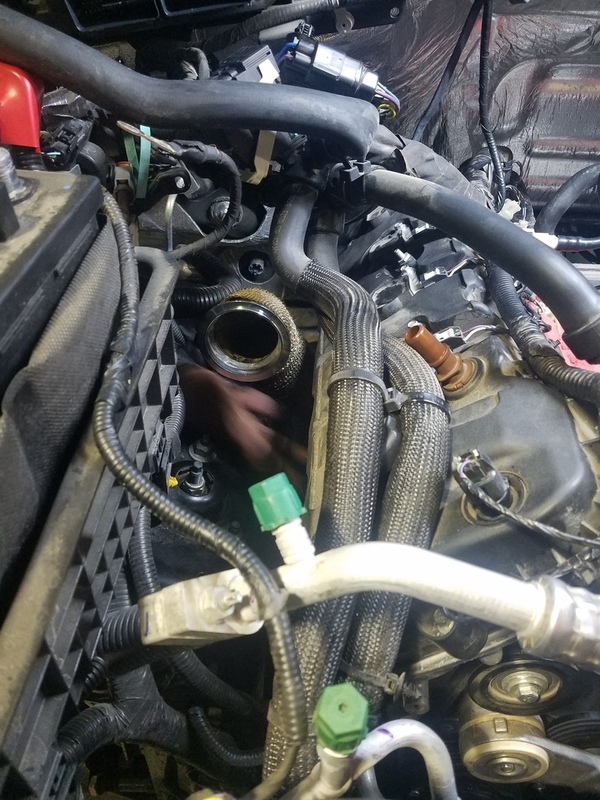 The manifolds go in pretty easy without much fuss. As it sits now. Had to modify the active grille shutters and grille to fit in front of the intercooler. Hopefully throwing that stuff back on today or tmrw. I will be on the dyno soon tuning it hopefully. Last edited by Spooled; 07-25-2017 at 10:11 AM. Next up is a torque converter, JMS transbrake, and 2-step. A fuel system will follow shortly after that. Subscribed and also following on IG. Looks to be a wicked setup! Did you launch in 2WD with the locker engaged? I have not launched yet. Hopefully getting on the dyno tonight for some more tuning and I can start making some WOT pulls to 7k. Right now my tuner says don't go over 5k. I had the rear end step out on me yesterday on the 1-2 shift. These turbos spool up really quick. It came up on boost nn 2nd gear when I went to get around someone and even with the radials it spun a bit. Very interesting! I would love to see the results once tuned and final track numbers. good Looking Truck, Race stars look awesome on there. Badass build im subd' for sure, and just added you on instagram aswell. You said you ran a 13.9 with just suspension mods. I was curious how you launched for that run. Holy S this is very nice. Just stomped the throttle off idle. I think stalling up hurts you on stock calibration. Like the engine pulls power from you is what it felt like. Perhaps traction control? Or Torque Management?